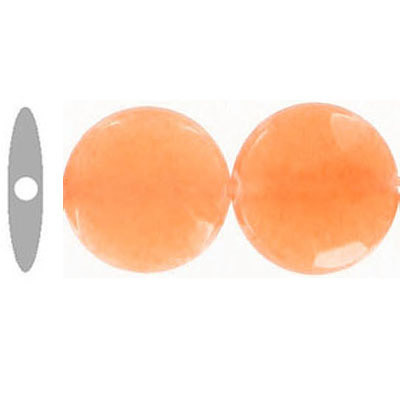 Semi-precious faceted beads, 10mm, disk, orange jade, 16 inch strand. (SKU# SPBD10FD/ONJ). Sold per pack of 1 strand(s). 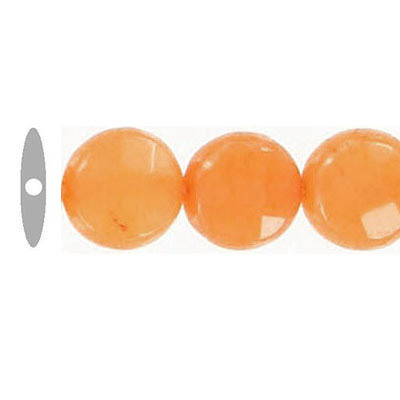 Semi-precious faceted beads, 14mm, disk, orange jade, 16 inch strand. (SKU# SPBD14FD/ONJ). Sold per pack of 1 strand(s).